New Legend of Zelda game coming out on the 3DS?! WAIT ITS EVEN BETTER!!! Majora's Mask!! WOOOO!! 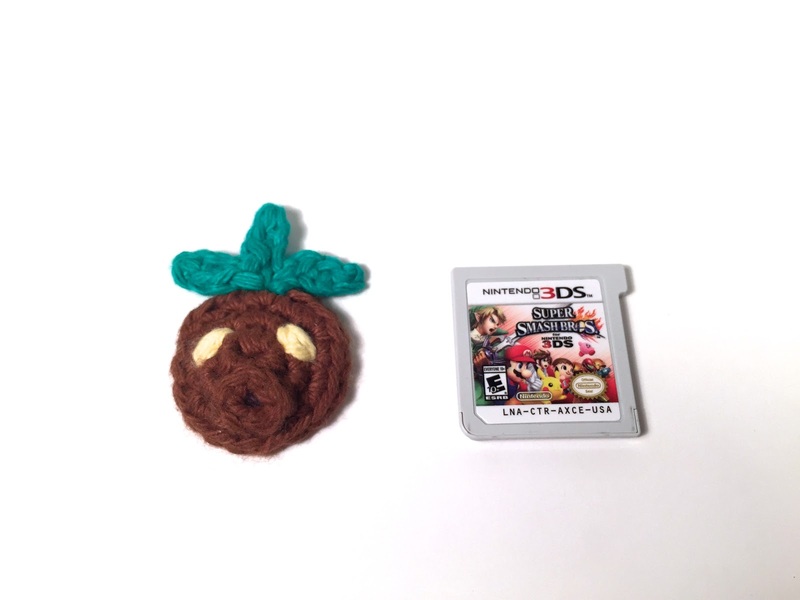 So this Thursday the new Majora's Mask 3DS game comes out and I'm super excited, so to show my appreciation, I decided to make a little Deku Mask from the game! It's super tiny so you can sew it onto a bag or put it on a pin! 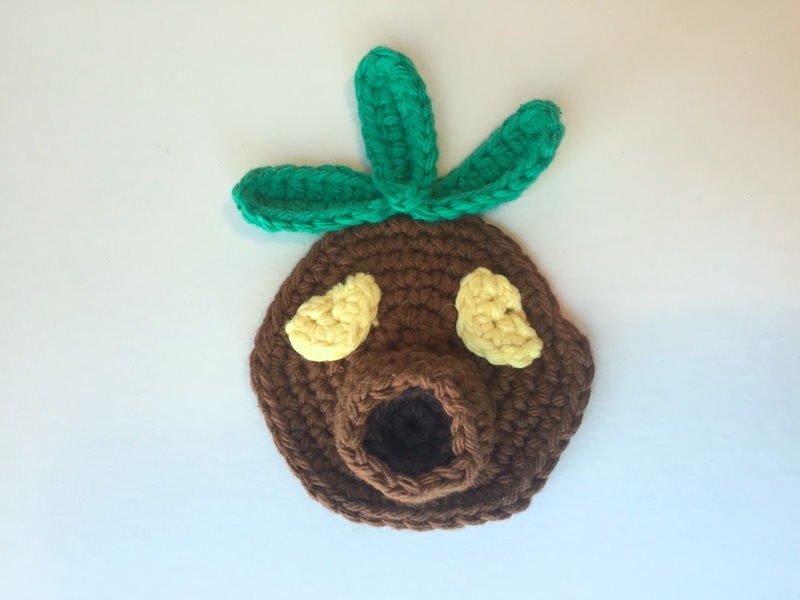 Alright, well check out the free video pattern below! (7:50) Ch 6, stitch around black made in in the main part. Sew on leaves, embroider on eyes in yellow. Subscribe on YouTube or follow me on Twitter, Instagram, or Facebook to get notified next week when I make a big Deku Mask!